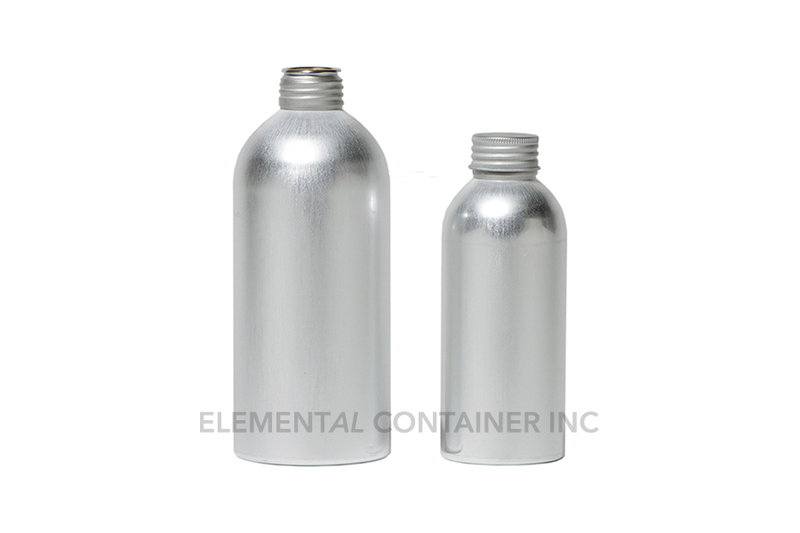 Cosmetic aluminum bottles, cans and caps by Elemental Container are especially suited for packaging cosmetic products. 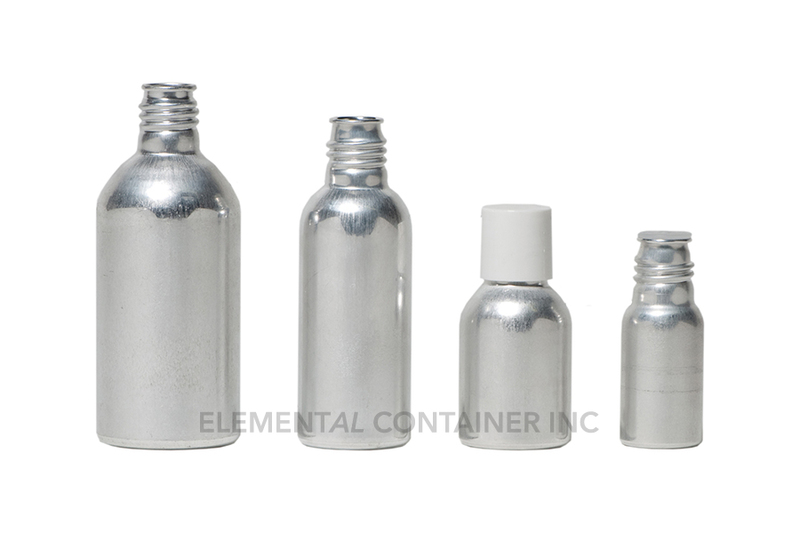 We carry a variety of cosmetic aluminum bottles including brushed aluminum bottles and screw cap cans. All the bottles and cans have a smooth finish that can readily accept pressure-sensitive and acetate labels as well as silk-screening. A wide variety of aluminum caps is also available. The ATK range feature a rolled aluminum external screw neck thread of 31 mm and aluminum screw cap with polyethylene liner. Capacities are from 315 ml (10 oz.) to 550 ml (19.4 oz.). They are ideal for packaging liquid products. Like the 9M6 line, they have a rustic look, and are designed to work with an aluminum cap. 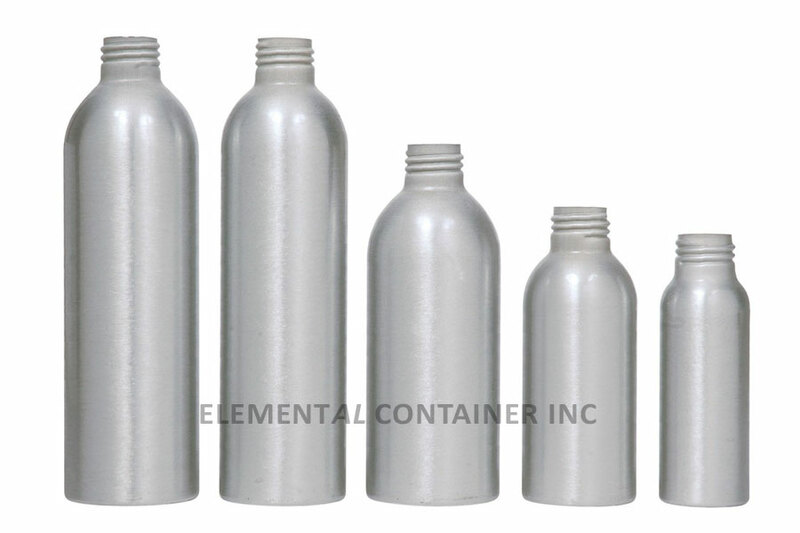 One of the most popular aluminum bottles is the brushed aluminum bottle. These five bottles have capacities from 60 ml (2 oz.) to 300 ml (10 oz.) and are perfect for packaging lotions, perfumes and other cosmetic products. They are seamless and can be easily fitted with screw caps, plastic caps, lotion pumps and spray pumps.